How will Apple handle reservations? Note that Apple is taking reservations for store pick-up. If reports of a supply shortage are accurate, Apple may not be able to fulfill everyone's order on launch day. I'm curious how this will be handled, but I'm guessing customers will be told that the iPad is first-come, first-served on April 3. When does the iPad ship for online orders? Of course, it'd be great to skip the launch day madness and just have an iPad delivered to your door. The only thing is, Apple hasn't said how long it'll take for online orders to arrive. Having that information would make it easier to weigh your options. Where else will the iPad be available? And when? ther retail locations could be added over time. So what other locations are on the table, and what's the time frame for all this? Will we see iPads at Best Buy in April, October or 2011? One thing that's never been clear about the iPad launch is why people who want a 3G-enabled device will have to wait an extra month to get it. My best guess is that AT&T needs the extra time to prep the new Micro SIM cards that the iPad will use for 3G. Does "late April" mean "early May" for 3G? 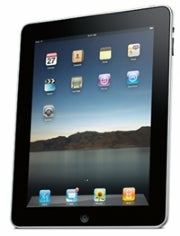 At Apple's January 27 event, chief executive Steve Jobs said the Wi-Fi-only iPad would be available in 60 days. He was off by six days. The 3G iPad is supposed to arrive 90 days after the launch event - that's Tuesday, April 27. Will the iPad 3G's launch be pushed into May, and if so, how far? Will iPad accessories be available at launch? Apple's pre-order press release didn't mention accessories. The company will sell five: A keyboard dock ($69), a charge dock ($29), a case ($39), a camera connection kit ($29) and a dock connector to VGA adapter ($29, according to iLounge). Will these accessories be in plentiful supply at Apple Stores, and can they be pre-ordered online along with the iPad itself? How many tablet apps will launch with the iPad? App Store development reportedly exploded in January, presumably in response to Apple's iPad announcement. But how many of those new apps will be designed specifically for the tablet? Developers may want to stick with the iPhone's huge customer base rather than take a risk on apps that only work with the new device. Then again, tablet-specific apps would enjoy the spotlight for iPad owners. I want to know more about the apps. Will magazines launch with the iPad? Apple hasn't made a big deal of digital magazines, though the New York Times recently reported that publisher Condé Nast is prepping several of its magazines for the device. The clock's ticking to have these multimedia concoctions ready for launch. One of the apps to debut with the iPad will be iWork, Apple's software suite for documents, spreadsheets and presentations. But creative types were given the cold shoulder, with no apps announced for editing photos, videos or music. If not Final Cut, will there at least be an iPad version of iLife for basic multimedia editing? Okay, so this question is perhaps the least related to the iPad's launch itself, but I couldn't help noticing the disclaimer in Apple's press release: "Battery life depends on device settings, usage and other factors. Actual results vary." Come on Apple, at least tell us how much time you get watching video, compared to music, compared to e-books.